JOE DEGUARDIA’S STAR BOXING will kick off the new year with a bang, as Long Island’s own ANTHONY “SHOWTIME” KARPERIS returns to headline Rockin’ Fights 29 at The Paramount against tough Mexican brawler ERICK MARTINEZ in a 10-round jr. welterweight contest on January 26th. Both Karperis and Martinez are looking to bounce back after tough losses. Karperis’ loss coming by the hands of highly rated prospect and former gold glove champion Louis Cruz, and Martinez’s loss coming courtesy of the up and coming Zachary “Zungry” Ochoa. Earning hard fought, quality wins against Ariel Duran and Scott Burrell in two of his last three main events at The Paramount, Karperis returns for his fourth consecutive main event. With his strong Long Island following behind him, Karperis will use his crowd pleasing style, and infectious charisma in an attempt to earn his 15th victory. Martinez will be no easy task for Karperis, as he has fought highly touted prospects in Zachary Ochoa, Juan Ruiz and Taras Shelestyuk. The crafty Mexican brawler will look to leave his mark on the soon to be sold out crowd at the Paramount, in search of a victory to steer his career in the right direction. 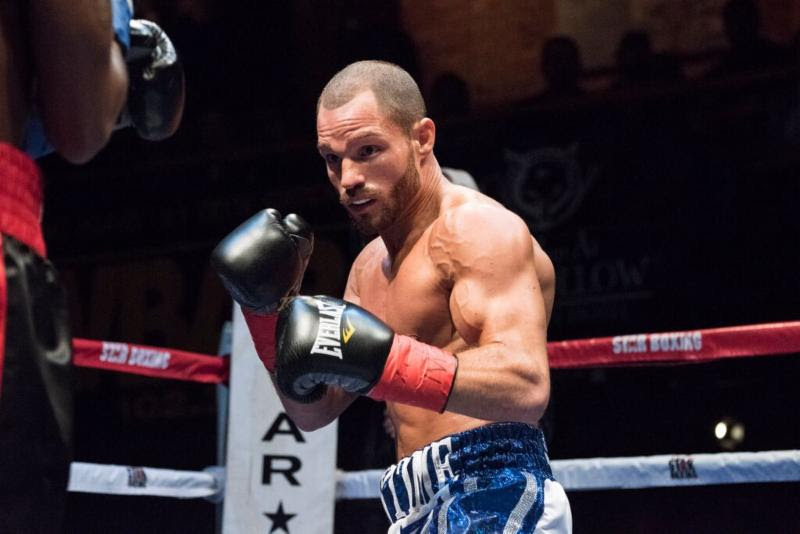 ANTHONY “SHOWTIME” KARPERIS makes his return to The Paramount, in Huntington, Long Island for his fourth consecutive main event in the popular Star Boxing Rockin’ Fights series against tough Mexican brawler ERICK MARTINEZ, hailing from Tijuana, Mexico. The main event bout is a scheduled 10-round jr. welterweight showdown. For more information visit www.StarBoxing.com, follow along on Facebook at www.facebook.com/starboxing, follow along on Instagram at @StarBoxing, @Showtime_AK, @TheParamountNY or on Twitter @StarBoxing, @Showtime_AK or @TheParamountNY. Karperis vs. Martinez is a 10-round jr. welterweight bout presented by Joe DeGuardia’s Star Boxing. “Rockin Fights” is sponsored by Modell’s Sporting Goods, Montauk Iced Tea, The Inn at Fox Hollow, Camelot Limousine and 102.3 WBAB.